Winning #RedHats is a huge accomplishment and the memory of culminating your season with the biggest prize is something to be celebrated. Making it all the way to the OMHA Finals is something to be proud of as well. Let everyone know just how well you did this season with the Official OMHA Champion and Finalist apparel - now on sale! After working hard all season, you deserve to show off how far you made it this year. 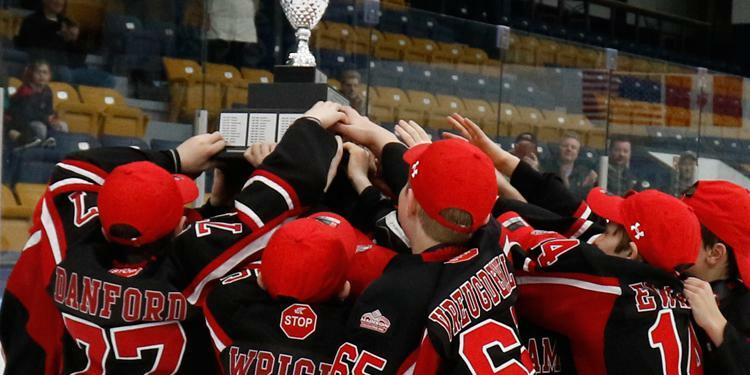 The OMHA Store is now open and features both Champion and Finalist apparel. This is for the whole family to celebrate. Apparel comes in Youth, Women's and Men's sizing and features styles for all seasons of the year. FIRST WAVE ORDERING: February 25, 2018 - April 8, 2018. All orders will be delivered the week of June 4th. SECOND WAVE ORDERING: April 8, 2018 - June 17, 2018. All orders will be delivered the week of August 13th.